If you're feeling indecisive you may want to stop reading now, as this versatile dress comes in different colourways. The summery knee-length design is crafted from lightweight cotton slub and features a pom-braid trim around the neckline. 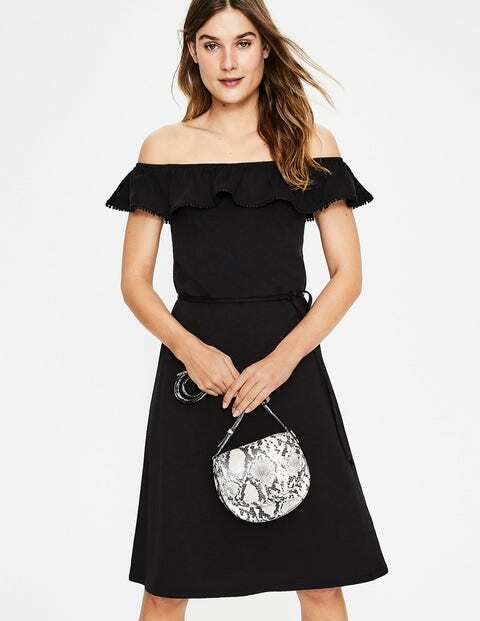 Style it loose and off the shoulder, or wear it on the shoulder with the tie waist nipped in for hourglass definition.